Chris King an extremely popular character over the years. 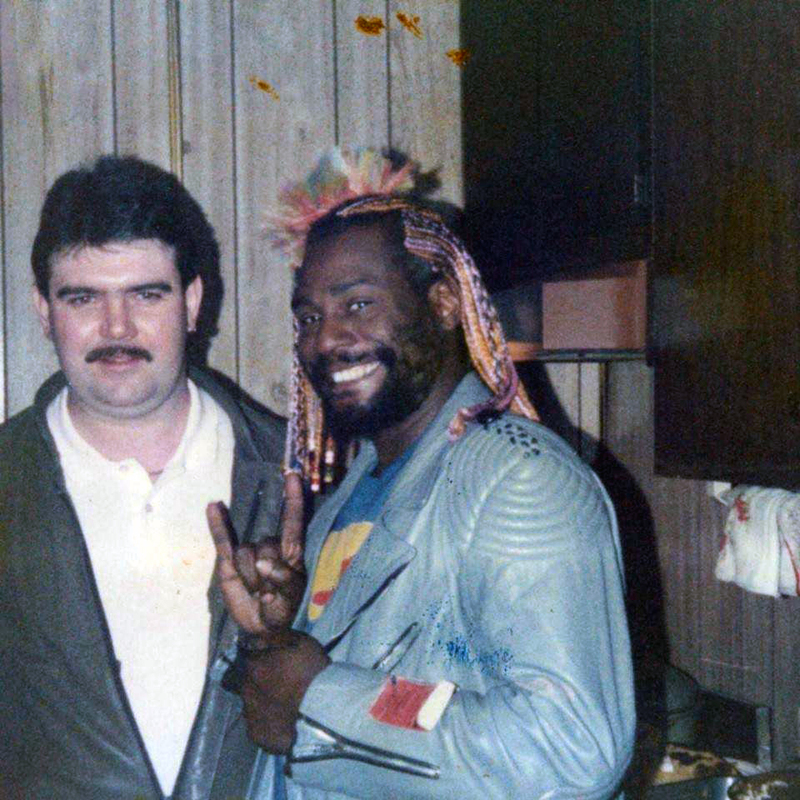 A Deejay with vast experience and one who knows how to work the floor. Chris is also an vastly experienced promoter for many decades at such places like Coalville and Hinkley with Terry Sampson and The Weekend Soul Club. Chris was also responsible for bringing many US Soul music acts to U.K., the most renown of them all being the Pic Tic Review. Chris became involved with Stafford in the last 6 months or so of its life. 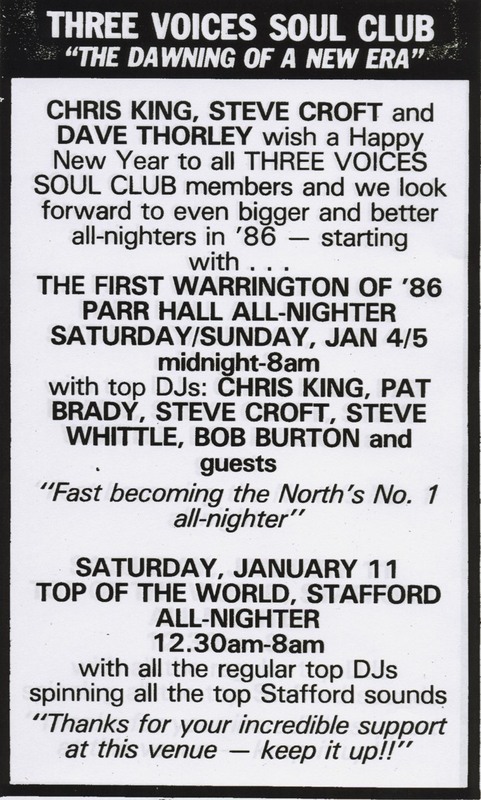 Along with Dave and Chris, Steve Croft who ran the all-nighters at Warrington’s Parr Hall also came on board and it became known as the Three Voices Soul Club. The purpose of the union was to avoid clashing between the three clubs and bring some harmony to the all-nighter scene at the time….something seriously lacking on today’s scene.